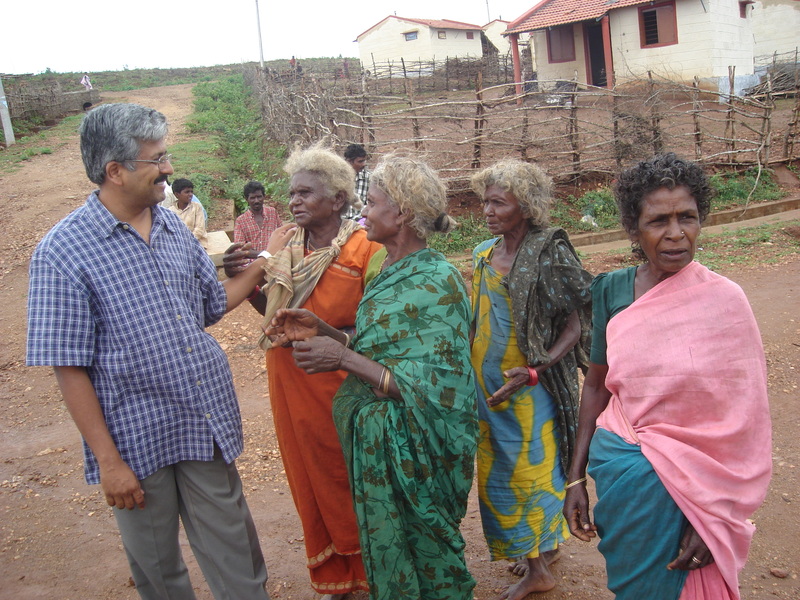 Dr. R Balasubramaniam (Balu) is a development activist, public policy advocate, author and leadership trainer. He is a physician by qualification and after his MBBS, he earned his MPhil in Hospital Administration & Health Systems Management from BITS, Pilani. He has a Masters in Public Administration from the Harvard Kennedy School, Harvard University. His living habits were greatly influenced by the teachings of Swami Vivekananda and at the age of 19, he founded the Swami Vivekananda Youth Movement based on the principles of Ahimsa (non-violence), Satya (Truth), Seva (Service) and Tyaga (Sacrifice). He has spent the last 34 years of his life in the service of the rural and tribal poor in the forests of India. Dr R Balasubramaniam is also the recipient of numerous State and National Awards. Many International, National, and State Committees have counted upon his immense experience in planning and executing rural development programs. He is also an Advisory member of various organizations working in the fields of health and education in the country. He teaches and lectures regularly at prestigious Institutions around the world on Leadership and was the distinguished Frank Rhodes Professor at Cornell University, USA. He is an Adjunct professor of International programs at the University of Iowa, USA and was the visiting professor of the Vivekananda Chair at the University of Mysore, India. He is a visiting faculty at the ILR School, Cornell University, USA and at IIT-Delhi, India. As the Special Investigator, he has assisted the Lok Ayukta (the anti-corruption agency), Karnataka in investigating into issues of mal-administration and Corruption in the health sector and in the Public Distribution System. He has been a consultant to various National and International Agencies including the World Bank in the Health, Education, Leadership, Social & the Development sectors. He has traveled widely within and outside the country promoting the concept of participatory sustainable development, which is contextually relevant and culturally appropriate. He is a Tata Scholar, a Mason Fellow of the Harvard Kennedy School and was a Fellow at the Hauser Center for Civil Society, Harvard University.